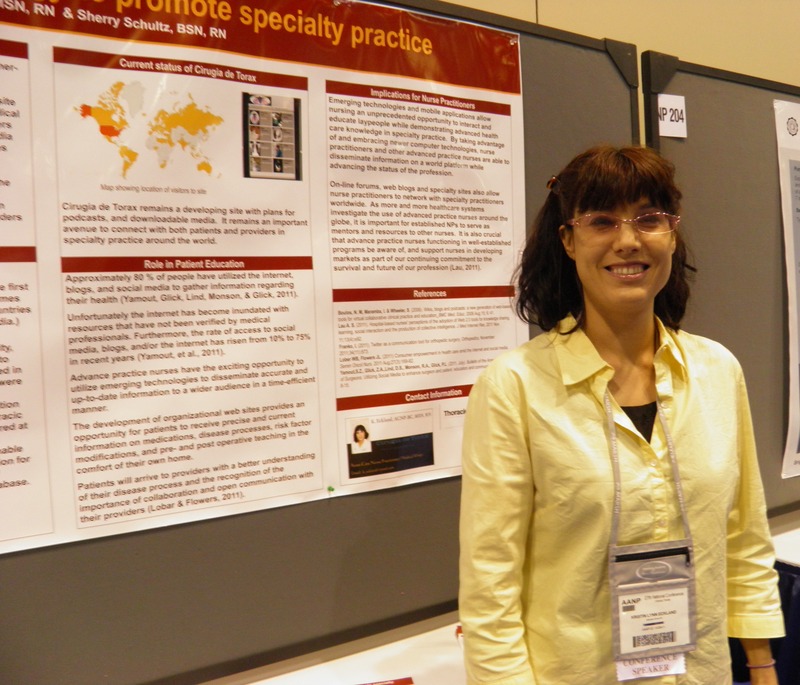 The poster is about how the thoracic surgery website brings together thoracic surgery professionals (surgeons, NPs, PAs, Respiratory therapists) from around the world and how it connects patients with credible but easily understandable information. While I was there – I got the chance to meet some of the other presenters. 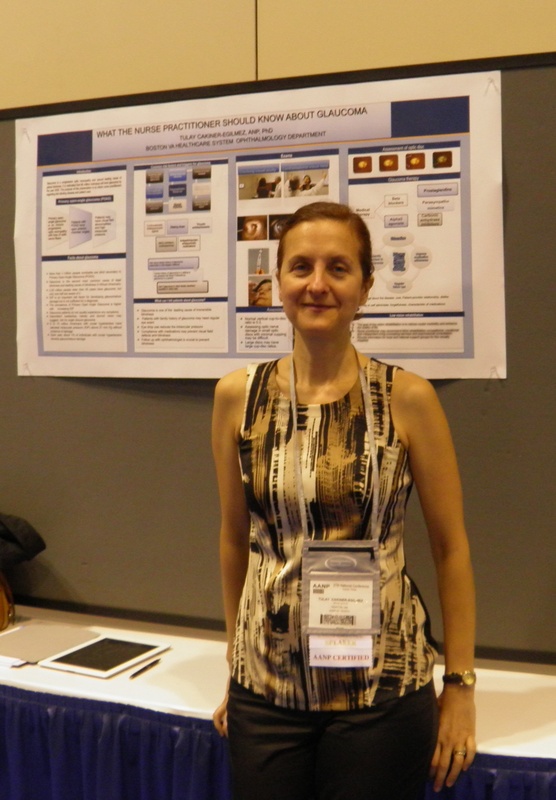 Tulay Cakiner-Egilmez, ANP is an ophthalmology nurse practitioner at the Boston Veteran’s Administration. 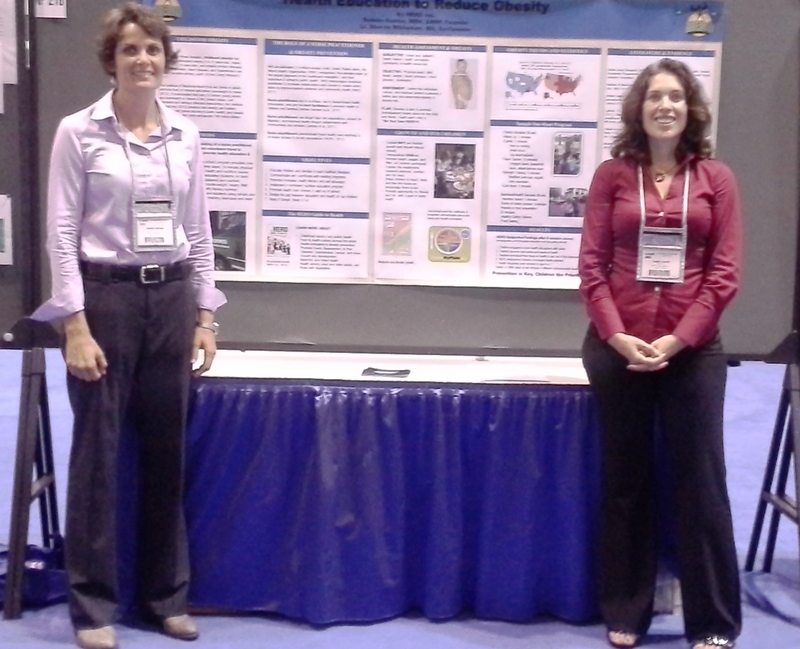 She was presenting a poster talking about performing eye exams and screening for glaucoma and other eye conditions. 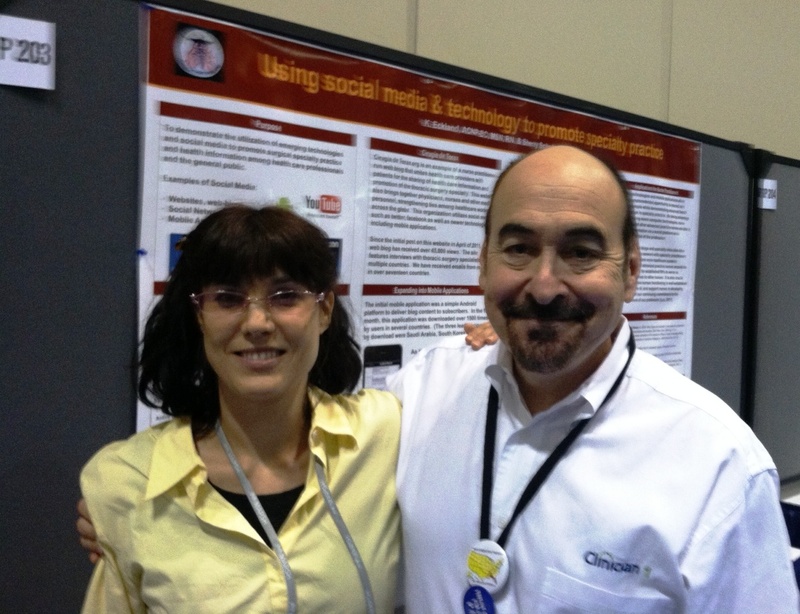 My poster was next to hers, so we were able to talk in-between visitors. She’s been a nurse practitioner for three years, but has worked in the field of ophthalmology for over 25 years so she has a lot of great experience! Debbie Kantor, MSN, ARNP and Lt. Sherrin Whiteman, MA from Hero, Inc. had a great presentation so I wanted to be sure to mention them since they may be a good resource for our readers. They were talking about “Health Education to Reduce Obesity” and their mobile patient / community health education program. They run a pretty cool program with a nurse practitioner, a fitness instructor and other health educators who travel around to different communities to provide people with information about fitness, exercise, diet and healthy eating to prevent/ reduce obesity and promote wellness. Lastly, I was thrilled to meet Dave Mittman, PA. He’s the founder of Clinician 1 which is an online website/ community for nurse practitioners and physician assistants. He’s really down to earth and charming in person, and didn’t seem to mind taking a few moments to talk to me. 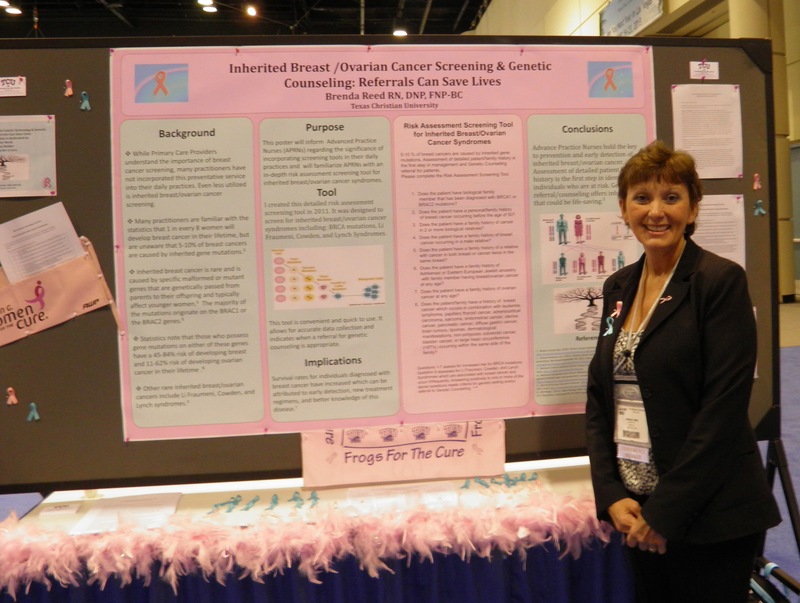 This entry was posted in Nursing and tagged AANP, national conference, nurse practitioners, poster presentations. Bookmark the permalink.